Orphans of the Storm® always has a wide variety of breeds for people to choose from. Whether you’re looking for a big dog, small dog, fluffy dog, short-haired dog, spotted dog, or solid-colored dog, there’s sure to be one that will catch your eye! 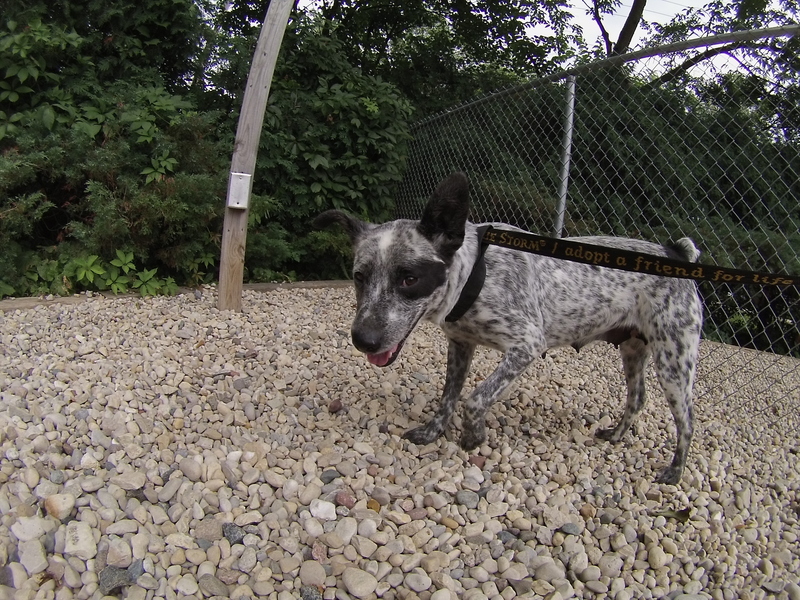 Lily the one-year-old Heeler mix is such a cutie, but somehow she keeps getting overlooked. She was very eager to come out for a walk and did a few spins of happiness before we went on our way. After her initial burst of energy, she walked nicely on the leash and was pretty calm and gentle the entire time I was with her. 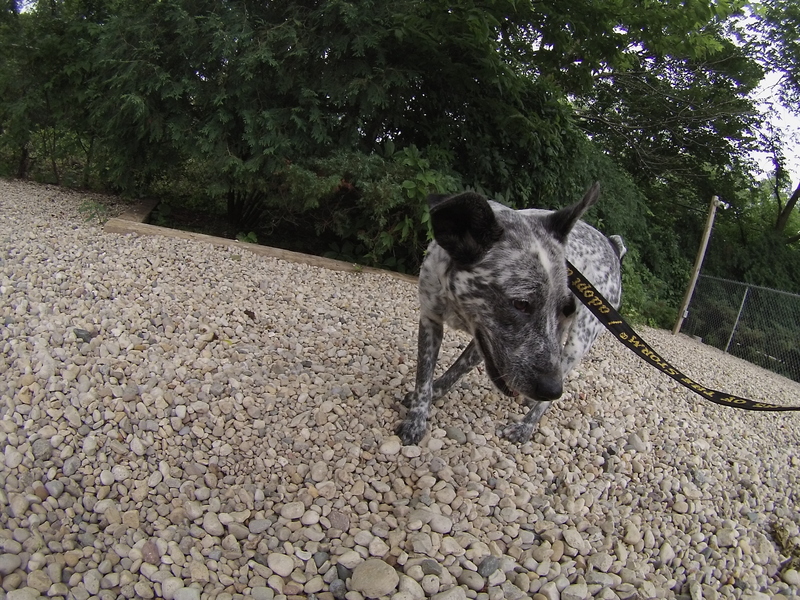 She’s much smaller than other Heeler mixes we’ve had at the shelter, which makes her even cuter! Lily is an adventurous girl who likes to explore. Even when she was still on the leash, she was doing her best to crawl underneath the bushes and find out what was going on. She’s a girl who likes to follow her nose. She wasn’t too interested in playing with a tennis ball when we were in the off-leash run, but her playful side will probably come out more once she’s settled in her new home. Stop by the shelter soon to see if Lily is the right companion for you! 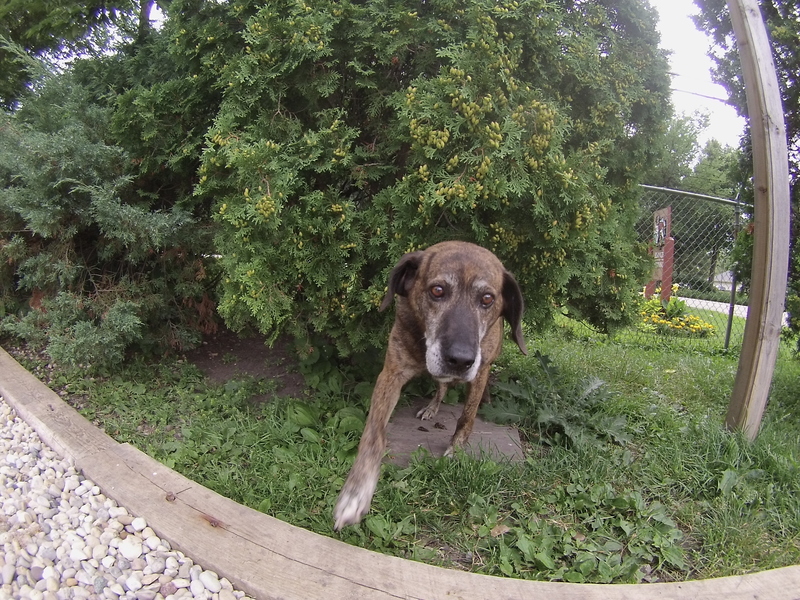 Nana the seven-year-old Shepherd mix is a special girl looking for a special home. She has cancerous tumors, but you wouldn’t know that from spending time with her–I didn’t even know until after I had brought her back to her kennel and read her card more carefully. Nana is an absolute sweetie who has already stolen the hearts of several volunteers. Nana is an affectionate and gentle girl. She’ll happily give you doggy kisses and stay by your side as long as you’re petting her. She’s one of the “backyard dogs” who gets to hang out by herself in one of the fenced-in areas at the shelter, so we know she won’t be jumping any fences if you let her out in your own yard! It can be difficult to open your heart and your home to a pet when you aren’t sure how much time you’ll be able to have with them, but Nana will appreciate it! 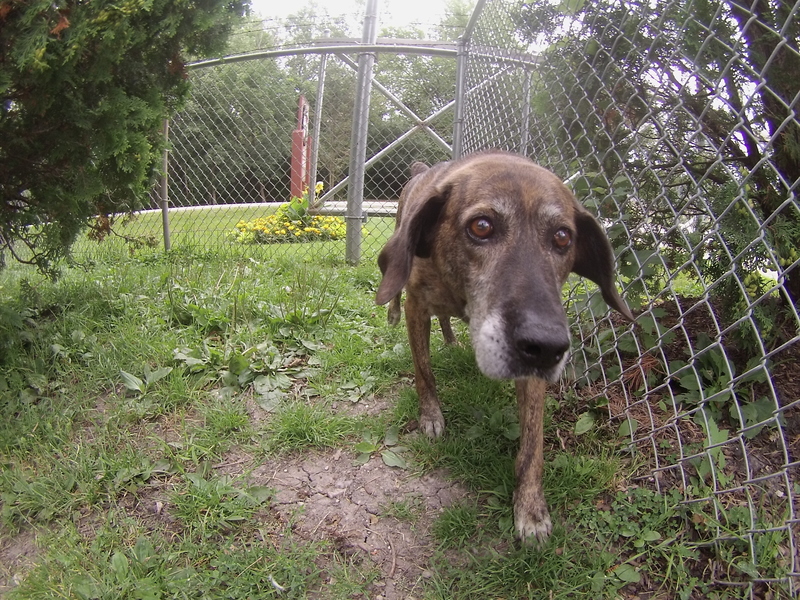 On your next visit to the shelter, be sure to say hi to Nana. 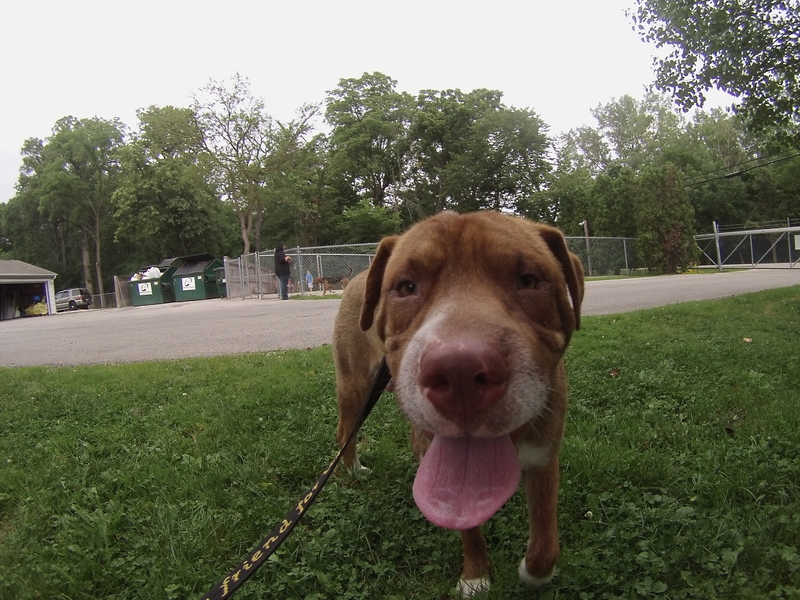 Magoo the three-year-old Shar-Pei mix is one of those dogs who will immediately make you smile, because his wrinkles are so cute! Magoo likes people and dogs alike. He’s currently sharing his kennel with another dog, and he also wanted to say a friendly hello to the other dogs who were out and about when we were. 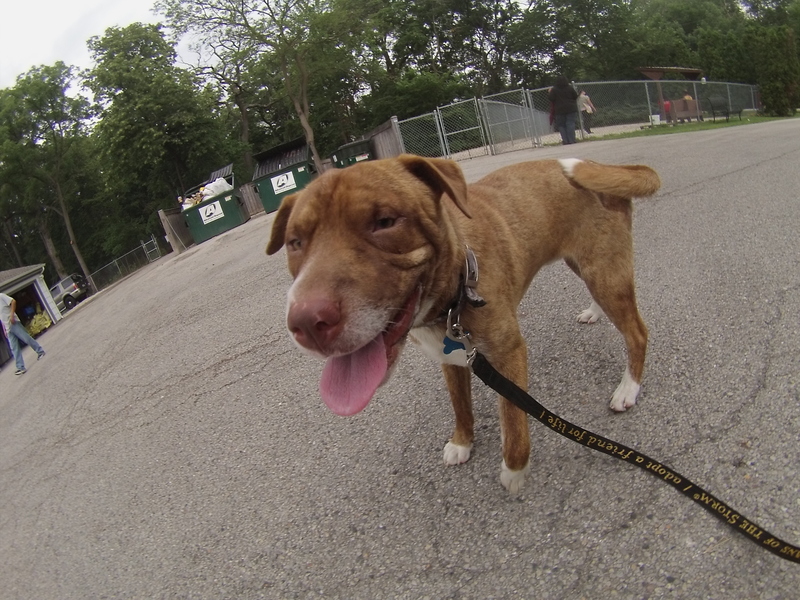 In fact, the only occasions where he pulled on the leash was when he wanted to say hi to somebody. Magoo loves giving doggy kisses to anyone willing to be on the receiving end. Whenever I knelt down beside him, his wrinkly nose would be right there to greet me. His semi-curly tail was wagging almost the entire time we were together. This sweet, happy boy is ready to join his furever family. If you think that might be you, come in and meet Magoo! I also saw Bella, Blush, Cooper, Diamond, Heaven, Jasmine, Scotty, Skippy, Trixie, and Winter. Posted by Meet the Pooches on July 30, 2015 in Dog Profiles and tagged adopt, adoption, animal shelter, animals, Chicago, Deerfield, dogs, Heeler, Orphans of the Storm, pets, Riverwoods, Shar Pei, Shepherd.